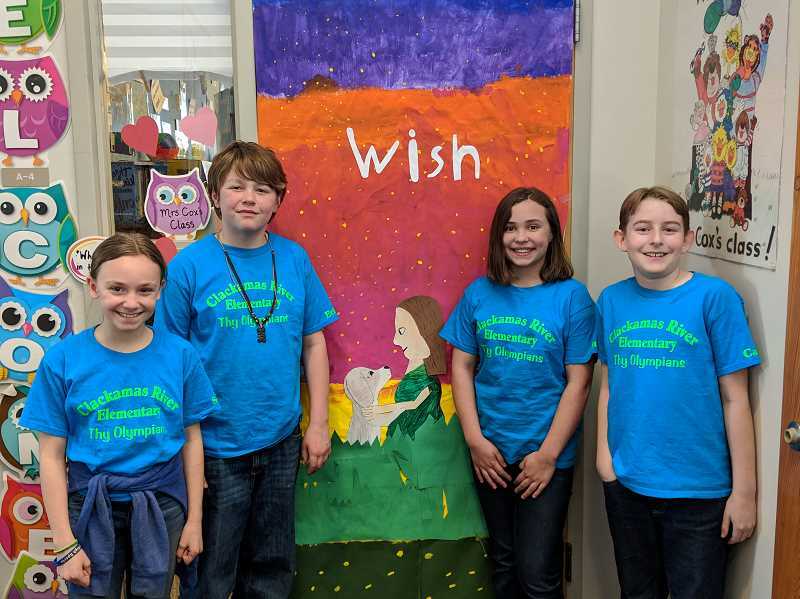 Young Estacada bibliophiles recently put their knowledge to the test during the annual Oregon Battle of the Books competition. Sponsored by the Oregon Association of School Libraries, the competition is a voluntary reading program across the state. The program is run by the Oregon Association of School Libraries and partially funded by the Library Services and Technology Act. "OBOB's mission is to encourage and recognize students who enjoy reading, to broaden reading interests, to increase reading comprehension, promote academic excellence, and to promote cooperative learning and teamwork among students," the program's website states. "Students in third through 12th grade, regardless of ability, are exposed to quality literature representing a variety of literary styles and viewpoints." Students from Estacada Middle School and Clackamas River Elementary School participated in regional competitions on Saturday, March 9, at Happy Valley Middle School and Clackamas Community College. Though neither team advanced to the state competition, both enjoyed the time leading up to regionals. Prior to the competition, teams met each week to discuss the books they read. "You get to know people better, and you get to read a lot," said Cannon Shearer, a fifth-grader at Clackamas River Elementary School. Some of this year's OBOB participants have been involved with the program for many years. Estacada Middle School eighth-graders Luci Wainman and Heather Shaver have participated since third grade. "I enjoy reading books, and OBOB always has a good selection. It's introduced me to new books," Luci said. "The books always look cool," added sixth-grader Sunflower Shaver, who has participated in the event for two years. 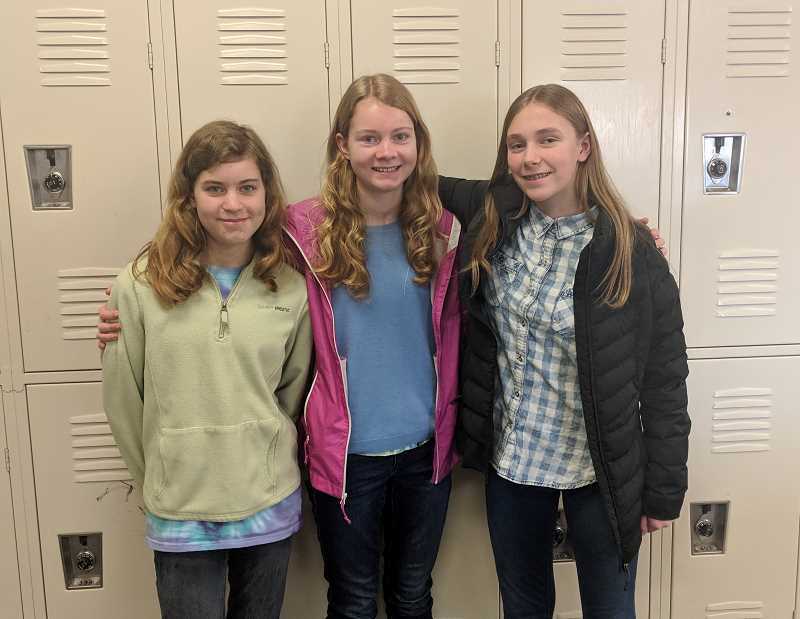 Luci, Heather and Sunflower were joined by seventh-graders Mary Wainman and Grace Fullenwider on the middle school's OBOB team. Books on their reading list included "Avenging the Owl" by Melissa Hart, "The Wishing Spell" by Chris Colfer, "Absolutely Truly" by Heather Vogel Frederick, "Doll Bones" by Holly Black, and "I Will Always Write Back" by Caitlin Alifirenka and Martin Ganda. During the regional competition, the middle school's favorite topics were enriched books questions, which asked about the story's content, author and title. The team also enjoyed collaborating with one another. "I liked being with people and making new friends," Heather said. "I liked working together as a group," Luci added. "(OBOB) is a good opportunity for people who love to read books. It lets you learn how to turn it into a fun game." Clackamas River Elementary School's team consisted of fifth-graders Cannon, Ella Mallett, Sophia Montez and Ethan Stalcup. The name of their group was Thy Olympians. "Olympians are the Greek gods, and the gods are immortal and can't die. That's what we were going for," Ethan said, noting that "Thy" is a reference to old English. The entire team enjoyed the selection of books they read. Ella's favorite book was "George" by Alex Gino, Sophia's favorite was "Roller Girl" by Victoria Jamieson, Cannon's favorite book was "The Wild Robot" by Peter Brown and Ethan's favorite was "Nightbird" by Alice Hoffman. Ethan added that "Nightbird" included a recipe for pink apple pie, which he plans to make. The group enjoyed participating in OBOB and discussing books with one another. "It's really fun and challenging," Sophia said. "It's fun to do with friends," Ella added.